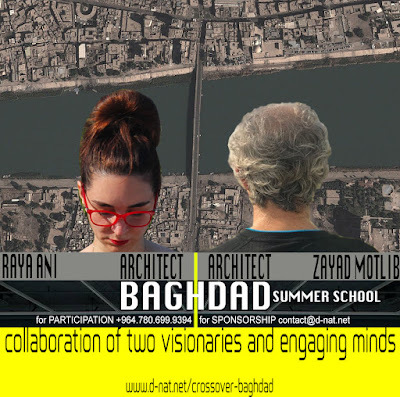 An architectural summer program, which operates under the CROSSOVER educational initiative, envisioned and directed by two architects: Raya Ani and Zayad Motlib. The CROSSOVER summer school is an educational program that takes place every summer in a different city around the globe with a common theme of bridging divisions -- whether social, environmental, cultural, physical, or technological. The CROSSOVER educational program is based on the cross-pollination of disciplines, generations, skills, systems, processes, and typologies. The program tackles urban and architectural challenges related to a particular context of a city. Through the cross-pollination of disciplines, the studio emphasizes systems rather than individual solutions to rethink complex challenges by offering new discourses and narratives. It is the fusion of academic and non-academic knowledge, the theory and the practice. The program includes field studies, technical tutorials, and lectures that aim to expand participants’ knowledge. It also includes presentations and crit reviews by renowned academics and practitioners.